Basketry is considered the artcraft the more closer to nature, the production is entirely made from natural plant materials. 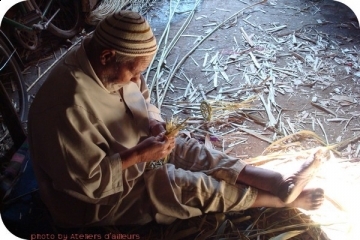 During this workshop 5 hours, you will discover 2 weaving techniques, especially 2 Local raw materials widely used: the doum palm leaves and reed stems. In the quite ambiance of the basketry workshop, you will test out the braiding of these 2 materials. 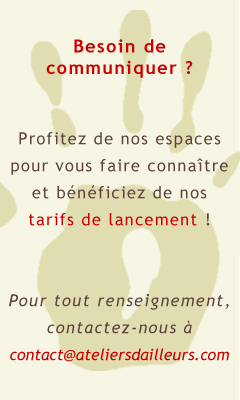 And you will discover the basketwork univers in Morocco: the other used materials , shapes and objects that can be achieved, and the workshop's ambiance that exudes simplicity and natural. Two practical works are planned : a tray braiding in reed leaves, and a basket in reed stems. the many fascinate explanations about the different used raw materials and the basketry artcraft. the presence of a guide in charge of the translation,and ensures the good progress of the workshop and assist you in a general way.